If the case had exonerated wind turbine noise, no doubt, such a story would have been splashed across the front pages of the Fairfax press, and trumpeted long and loud by wind cult central, the ABC. Instead, The Australian’s Graham Lloyd gave it fleeting coverage but, otherwise, there was complete ‘radio’ silence. Students of the dark arts well-know that peddling a narrative is as much about what never gets published, as the content of what is. The wind industry has been alive to the power of manipulating the press, from the get go. Starry-eyed and gullible ‘journalists’ routinely recant wind industry PR, as if gospel fact. 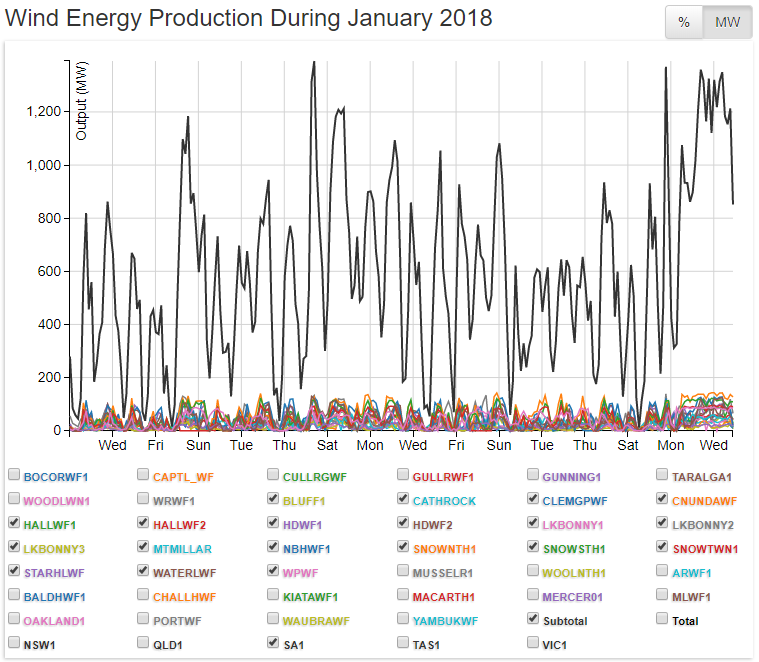 Notwithstanding the debacle that’s playing out in wind ‘powered’ South Australia and Victoria (forced load shedding and mass blackouts, whenever the wind stops blowing), in any story purporting to cover these things, journos still add the line that ‘[insert name] wind farm will power 30,000 homes’. Clearly, they’re not kite flyers or sailors, and set themselves up for the obvious retort: when? Every day? Some of the time? Just, when? Getting the facts about wind power published, warts and all, is in and of itself a triumph. Hence our delight with the following article which appeared in Hamilton’s Spectator. Natalie McGregor deserves a Walkley Award for having the courage and temerity to publish that which plenty of her peers seem determined never to touch. Hamilton sits in the Western Districts of Victoria, a bucolic, fertile and productive swathe of the country which has already been overrun with turbines and, thanks to Victoria’s lunatic Labor government, is lined up to be speared with hundreds more. The fact that this piece appeared on the front page of the Spectator signals a shift in favour of communities and against this rotten, subsidy-soaked industry. Nice work, Natalie! The AAT’s findings were based on a raft of scientific studies directed at dealing with exposure to low-frequency noise, in general; not just that generated by wind turbines. 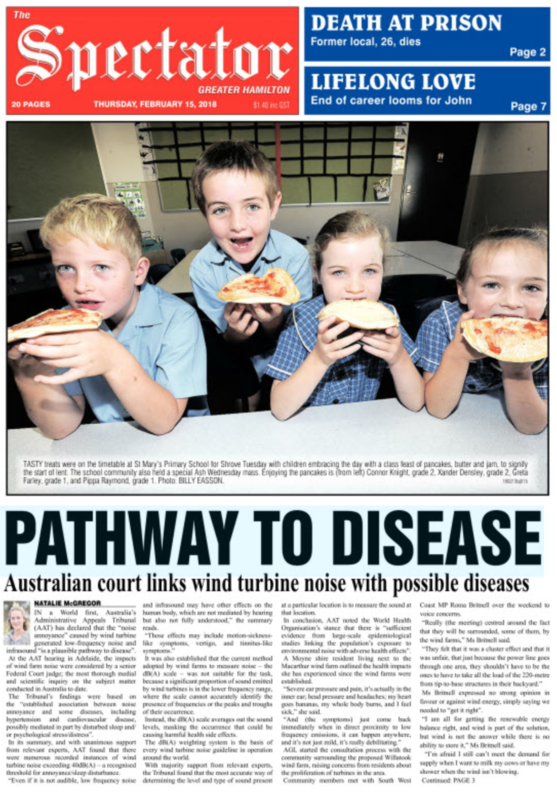 Pulsing, low-frequency wind turbine noise is just another kind of annoying environmental noise which, as the AAT found, leads to cardiovascular disease. That very topic is covered in the article below, from the Journal of the American College of Cardiology. For Natalie McGregor’s interest and benefit here’s another very recent example of the kind of work the AAT relied on. 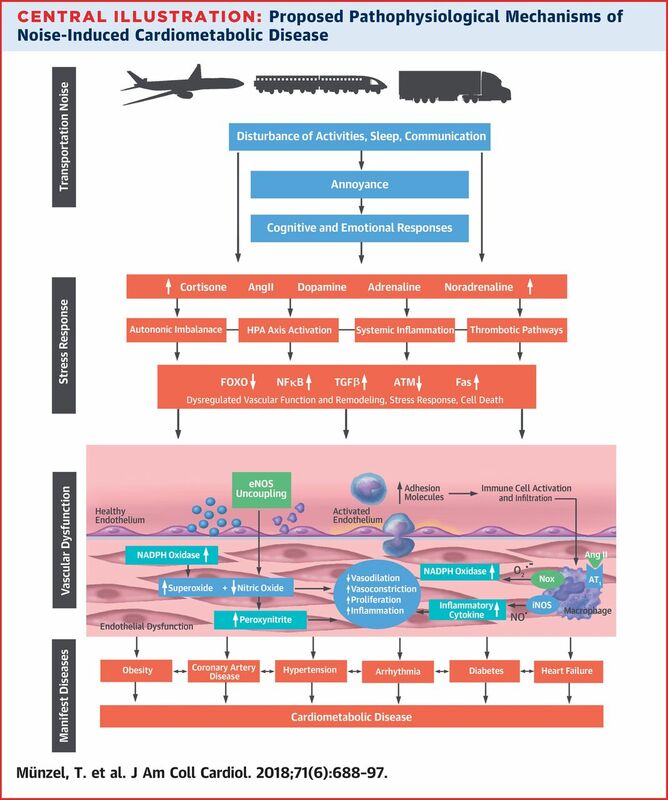 Proposed Pathophysiological Mechanisms of Noise-Induced Cardiometabolic Disease Noise causes annoyance and stress responses characterized by activation of the hypothalamic-pituitary-adrenal axis, inflammation, thrombosis, and altered gene expression. See text, section “Potential (molecular) mechanisms underlying noise-induced cardiovascular disease,” for details. Modified/combined from Münzel et al. (73) with permission of the publisher. Copyright © 2017, Oxford University Press. Ang II = angiotensin II; AT1 = angiotensin receptor type 1; ATM = ataxia telangiectasia mutated; eNOS = endothelial nitric oxide synthase; Fas = cell death signaling molecule (CD95); FOXO = Forkhead box O; HPA = hypothalamic-pituitary-adrenal; iNOS = inducible nitric oxide synthase; NADPH = nicotinamide adenine dinucleotide phosphate; Nox = NADPH oxidase; NO = nitric oxide; O2 = oxygen; TGF = transforming growth factor. Journal of the American College of Cardiology 71(6) 688-697. 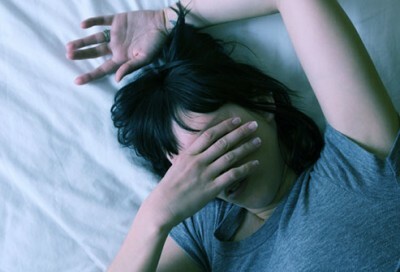 Noise has been found associated with annoyance, stress, sleep disturbance, and impaired cognitive performance. Furthermore, epidemiological studies have found that environmental noise is associated with an increased incidence of arterial hypertension, myocardial infarction, heart failure, and stroke. Observational and translational studies indicate that especially nighttime noise increases levels of stress hormones and vascular oxidative stress, which may lead to endothelial dysfunction and arterial hypertension. Novel experimental studies found aircraft noise to be associated with oxidative stress–induced vascular damage, mediated by activation of the NADPH oxidase, uncoupling of endothelial nitric oxide synthase, and vascular infiltration with inflammatory cells. Transcriptome analysis of aortic tissues from animals exposed to aircraft noise revealed changes in the expression of genes responsible for the regulation of vascular function, vascular remodeling, and cell death. This review focuses on the mechanisms and the epidemiology of noise-induced cardiovascular diseases and provides novel insight into the mechanisms underlying noise-induced vascular damage. With regard to understanding the pathophysiological mechanisms, a growing body of evidence finds that noise is associated with oxidative stress, vascular dysfunction, autonomic imbalance, and metabolic abnormalities, potentiating not only the adverse impact of cardiovascular risk factors, such as arterial hypertension and diabetes, but also contributing to the progression of atherosclerosis and increased susceptibility to cardiovascular events. Thus, there is increasing rationale for studying the interaction between this novel risk factor and its collective impact on cardiometabolic diseases. The questions that need to be addressed are many and include the magnitude and time course of response to coexposure of noise and air pollution; synergistic effects of both exposures on surrogate measures, such as blood pressure and metabolic risk; duration of effect/time course of reversal; impact of low-grade background noise exposure on air pollution exposure effects and vice versa; impact of noise on the circadian rhythm; and finally the effects on lifestyle (e.g., diet, stress, and exercise). I had a feeling that Hamilton would play a part in exposing this despicable industry. The medical facilities in the town have been superb in my experience and the staff open to discussion about our health issues living near a wind farm. The local Vet has also been understanding about our concerns for animal welfare around industrial scale wind turbines. The same cannot be said for other regional centres in the surrounding area in my opinion. Although this may change as more evidence comes to light. If only the AMA and NHMRC would be more willing to come forward on the issue and adopt a precautionary approach. As long as they stand firm on this nocebo nonsense, the easier it is for less considerate Doctors to be let off the hook by simply stating to patients that there is no evidence of wind turbine syndrome coming up on their computer. To quote Little Britain, “Computer says NO”. In light of the above AAT findings, are we now to receive a public apology from the AMA and NHMRC? Natalie McGregor – I am so very proud of you for your strength and integrity and I have no doubt there are millions around the world who join my feelings about that. Victims of wind turbines have known for years the truth of what the AAT has said and congratulations to the AAT as well but how gutless and how dishonest and how soul destroying that journalists refuse to even report that decision. Now that Christian religion has been pushed out of public consciousness ( at least for the time being) the word ‘evil’ takes on new meaning in place of the role of the biblical devil and to my mind it is now appropriate to use it in the modern context to mean ‘keeping the public in the dark and denying them the reality of the truth’ and that is what the wind industry does and that is what journalists do by not reporting the truth but reporting propaganda to support their preferred agenda – great work Natalie and thank you.